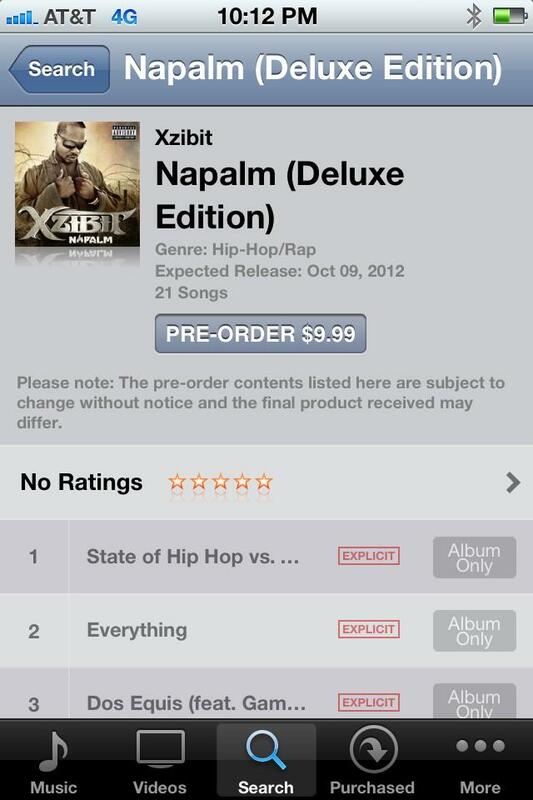 The highly anticipated upcoming Xzibit 2012 album Napalm is now available on iTunes to preview and pre-order! Check out the preview of the album and Pre-Order the album so you will have it as soon as it drops! Be sure to check out the Deluxe edition featured below as it contains bonus tracks. Through iTunes you can preview the Napalm album snippets giving you access to a 1 minute 30 second long listen of each track of the album… which one is your favorite? Leave your comment below!